I love General Conference! This year for the Priesthood session of conference we hung out with my side of the family. 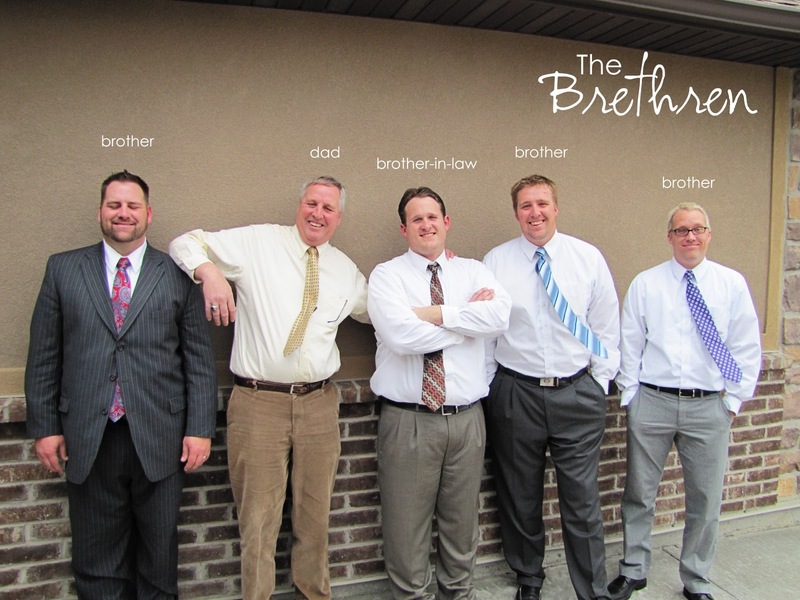 I swear none of the men in my family can ever smile normally for a picture. Missing from the picture is Mike (he was running late), Abbel (bro-in-law) and Jake (brother). Jake and Abbel currently live out of town which is why they weren't there. 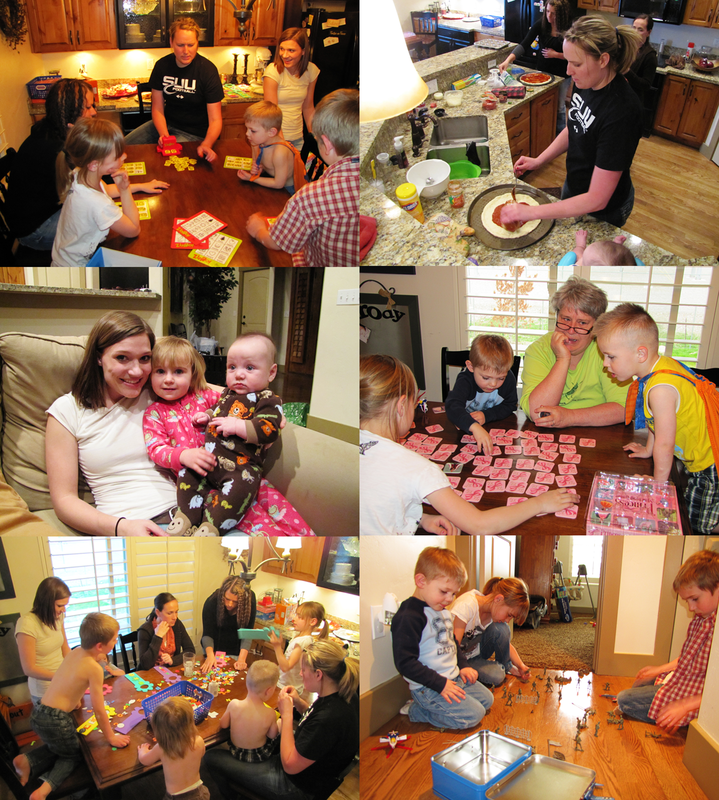 While the men were at the Priesthood session the girls and kids had fun making homemade pizzas and playing games. Bryson loved playing the game Zingo (a really cute Bingo game for kids) and running around shirtless with all of his cousins.